Dill is an annual in the celery family (Apiaceae) and native to the Mediterranean and southern Russia. It is a tall, 3-4 foot, beautiful plant and deserves a place in the flower garden as well as in the herb garden. 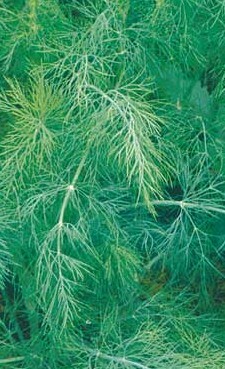 Delicious with potato salad, cucumbers, and fish, it’s feathery blue-green leaves soften the look of a flower garden, and as a bonus it can be used as a charm against witches and the “evil eye.” Dill likes full sun and moderately rich, well-drained soil with a pH of about 6.0. Locate in a protected area so the wind does not break the canes. Since dill is an outbreeding plant it does not cross with any other plant but different varieties can cross. Dill self-seeds freely. Dill is a cool weather crop and can be direct seeded in spring as soon as the soil can be worked and/or in the fall. The plant produces clusters of small yellow flowers late in the season so must be planted early if seed is going to be harvested. 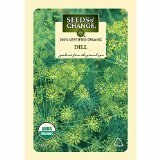 Dill does not transplant well and so seed should be sown in its permanent spot. 1. Sow the large seeds about an inch apart covering lightly or not at all, as the seeds need light to germinate. Plants germinate in 21-25 days at 60-70 F.
2. 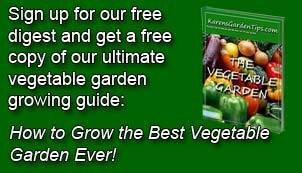 Thin seedlings to four to six inches apart if using for greens, ten to twelve inches apart if growing for seed. 3. Repeat steps 1 and 2 above a couple of times at two week intervals before summer for a long supply of dill while the temperatures are cool. To buy dill seed from Amazon.com click here.